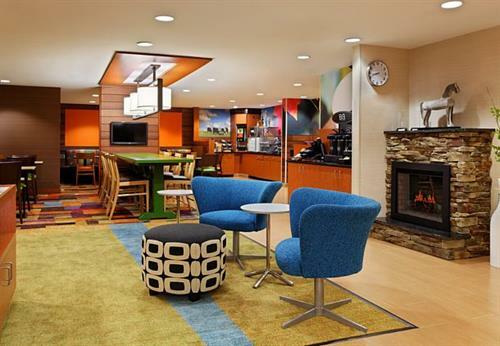 Experience the comforts of home at Fairfield Inn & Suites Atlanta Alpharetta. Our contemporary hotel positions you amidst dynamic destinations including North Point Mall, Avalon shopping center, Topgolf Alpharetta and Wills Park. Take advantage of our free shuttle service within a 5-mile radius. When you're ready to retire from adventure, settle into our modern rooms and suites. Complimentary Wi-Fi, plush bedding and ergonomic workstations will help make your travels as convenient as possible. Fuel up for the day at our free breakfast buffet, serving hearty and healthy options ranging from fresh fruit to warm waffles. Stop by The Corner Market when you're in need of on-the-go snacks and beverages. For our active travelers, keep up with your exercise regime at our fitness center and outdoor pool. 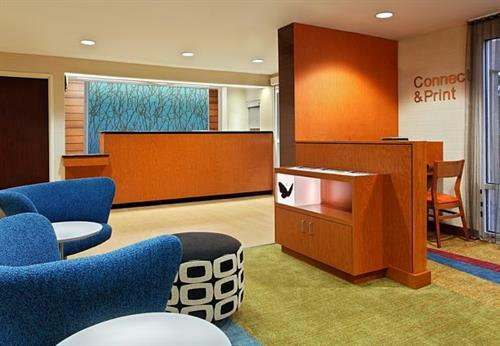 At Fairfield Inn & Suites Atlanta Alpharetta, you’re our #1 priority. Ask us about The Fairfield 100% Guarantee™, where we promise you'll be satisfied or we'll make it right. That's our commitment to you.